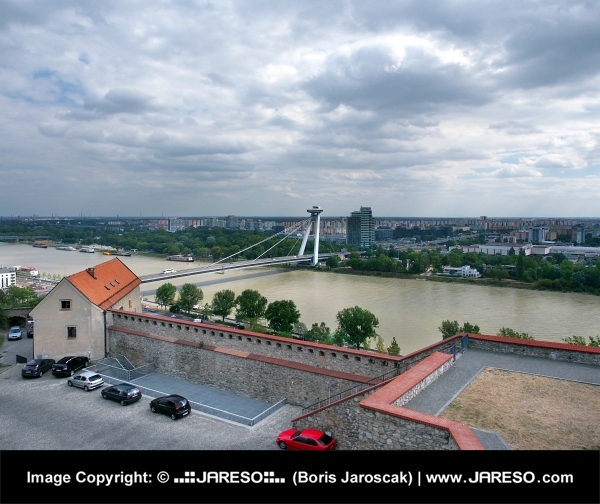 Panoramic view of Bratislava with dramatic stormy clouds during summer. 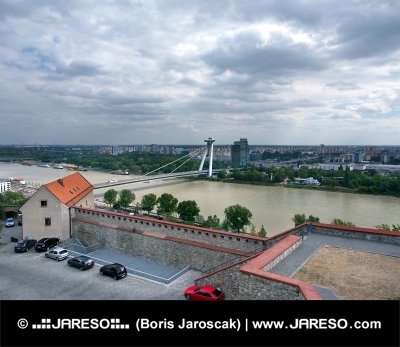 Bratislava is capital city of Slovak republic and it is popular tourist destination. On this photo can be seen famous SNP bridge (Most Slovenského národného povstania) over the Danube river with UFO like shaped observation platform on top of it. 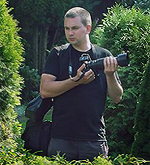 In background can be seen blocks of flats of Petrzalka city district.